Chevron Nigeria Limited - According to a report by Punch Metro, some trainees of Chevron Nigeria Limited have protested against what they described as enslavement by the management of the company. - Click to read more..
Chevron Nigeria Limited, is currently recruiting to fill the position of: Mooring Master Trainee. The position is located in Delta State. Interested candidates should possess relevant qualifications, with at least 10 years work experience. - Click to read more..
Chevron Nigeria Limited Operator of the NNPC/Chevron Joint Venture, is offering a number of University Scholarship Awards to suitably qualified Nigerian students, for its Chevron / NNPC National Scholarship Programme 2011 / 2012. 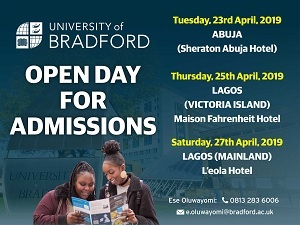 Applications are invited from full-time Second Year (200 Level) degree students of the under-listed courses, in Nigerian Universities. - Click to read more..
Chevron Nigeria Limited hereby invites applications from qualified candidates for the position of a Marine Compliance Advisor with a minimum of 10 years as Captain or Chief Engineer in offshore vessels. This position will be initially located in Escravos/ Port Harcourt. Chevron is one of the world’s leading integrated energy companies, with subsidiaries that conduct business worldwide, including Nigeria. - Click to read more..
Chevron Nigeria Limited is recruiting to fill the vacant position of: Well Planning Team Lead. Interested candidates should possess minimum of Master's degree in Geology or Geophysics with minimum of twenty ( 20) years experience. - Click to read more..
Chevron Nigeria Limited is recruiting to fill the vacant position of: Geological & Geophysical Operations Geologist. Interested candidates should possess Master's degree in Geology or Geophysics with minimum of twenty ( 20) years experience. - Click to read more..
Chevron Nigeria Limited is recruiting to fill the vacant position of: Geological & Geophysical Operations Geophysicist. Interested candidates should possess minimum of Master's degree in Geology or Geophysics with minimum of twenty ( 20) years experience. - Click to read more..
Chevron Nigeria Limited is recruiting to fill the vacant position of: Geological & Geophysical Operations Manager. Interested candidates should possess Master's degree in Geology or Geophysics or Petroleum Engineering with minimum of twenty ( 20) years experience. - Click to read more..
Chevron Nigeria Limited is recruiting to fill th vacant position of: Stratigrapher. Interested candidates should possess Master's degree in Geology or Geophysics with minimum of twenty ( 20) years experience - Click to read more..
Chevron is one of the world's leading integrated energy companies, with subsidiaries that conduct business worldwide, including Nigeria. If you are interested in becoming a valued employee of Chevron Nigeria Limited, a company that provides excellent career opportunities and welfare packages, this opportunity awaits you, we are recruiting to fill the following positions below: - Click to read more..
Chevron Nigeria Limited is recruiting to fill the vacant position of: Well Site Manager. Interested candidates should possess Bachelor's Degree or Higher National Diploma in Engineering or Sciences with minimum of 15 years experience. - Click to read more..
Chevron Nigeria Limited is recruiting to fill the position of: Well Site Manager. Interested candidates should possess Bachelor's Degree or Higher National Diploma in Engineering or Sciences with minimum of 15 years experience. - Click to read more..
Chevron Nigeria Limited is recruiting to fill the position of: Drilling Engineer - Deep Water. Interested candidates should possess Bachelor's Degree in Engineering with minimum Of 15 years experience. - Click to read more..
Chevron Nigeria Limited is recruiting to fill the position of: Drilling Superintendent. Interested candidates should possess Bachelor's Degree in Engineering with minimum Of 20 years experience. - Click to read more..
Chevron is one of the world's leading integrated energy companies, with subsidiaries that conduct business worldwide including Nigeria. Chevron Nigeria Limited hereby invites applications from qualified candidates to fill the following positions: - Click to read more..
Chevron Nigeria Limited is recruiting to fill the position of: Planner - Turnaround. Interested candidates should possess a Bachelor Degree qualification in Engineering degree or other relevant technical certification with minimum of 6 years experience. - Click to read more..
Chevron Nigeria Limited is recruiting to fill the position of: Operations Advisor - Turnaround. Interested candidates should possess a Bachelor Degree qualification in Engineering degree or other relevant technical certification with minimum of 7 years operations experience. - Click to read more..
Chevron Nigeria Limited is recruiting to fill the position of: Automation Advisor - Turnaround. Interested candidates should possess a Bachelors Degree qualification in Electrical or Instrumentation Engineering or other equivalent technical certification with minimum of 10 years experience. - Click to read more..